Do you love Pinterest? I know I do, my favourite part is looking into other's classrooms through their blog posts. If this is you too, then you have to follow this pinterest page! 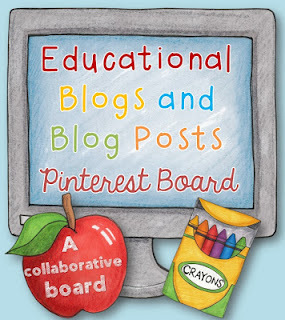 This is brought to you by Clever Classroom - check out Emma's blog for more details about how you can be a contributor and how you can follow this board! I do I do, I do...I think it's an addition sooo heading on over to check it out now. Yes I do love Pinterest and especially Emma's blog board. I'm always finding great ideas and blogs to follow.